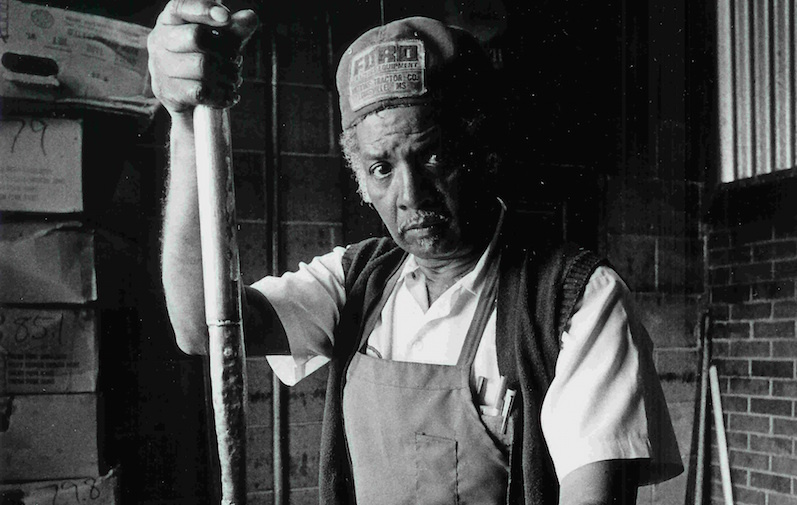 James Willis of Memphis, Tennessee, began tending the pits at Leonard’s Barbecue – the purported originator of the Memphis style sandwich – in 1938. Until very recently you could catch him in the pits most Thursday mornings. Mr. Willis is an archetypal Southern pitmaster. He has, for the great majority of his career, worked in obscurity, tending the pits day and night, cooking the best pork barbecue he can. This year we honor his legacy and, by way of the interview excerpt that follows, we honor his words and his deeds. Following is an excerpt from oral history done, in 2002, by SFA graduate student Brian Fisher. I started working for Leonard in’38. I was about 14. I was born in ‘23 and that was thirty-eight. At that time you know, times were tough. You got your little old job, you kept it because you had so little money you know. Back then folks were working for five and six dollars a week. I started working for Leonard for seventy cents a day. That’s what they paid me to pick-up trays, seventy cents a day. I was glad to get that. Some people wasn’t making that. I was picking trays. You know. They used to carhop…Well I was working and I picked the trays up off the cars and bring them back take the mess off. We had a gentleman cooking named Tom Tillman…I stayed on one street and he stayed on the next street. He’d holler at me and I’d holler at him. When I wasn’t doing anything, I’d go out there and sit with him. And that’s how I learned. I learned everything from him…Showed me how to trim it. Showed me when to turn it. When to make a fire. Tell when I did a batch of tough meat, tell me what I did wrong. Now you can go out there and cook you a batch of barbecue now and you come up with nothing. It’s tough. That’s the reason I said it takes patience. You don’t go out there and cook a batch of barbecue and it come up tough. Leonard’s never cooked during the daytime unless it was for help-out. Always at night back then at Leonard’s. Leonard’s purpose for cooking at night was so that he’d have a night watchman. That was his purpose see. He’d have somebody at his place all the time. Always at night back then at Leonard’s. People will tell you about barbecue. Anybody can cook barbecue. I’m not lying about it. It just takes time, if you’re cooking it. But now you can have a place here and I can have place here. And this man here making sauce and go down here and get that man’s meat. I can come here and get this man’s meat. And I can make me a sandwich and put that sauce on either one of them and you can’t tell the difference. See, your sauce is your barbecue. People can holler about it but now I just tell you a fact that barbecue, you got to have a sauce. You ain’t got a sauce, [y]ou ain’t got no barbecue. You know, that’s where your business is. Them other ingredients that slaw and that sauce that makes the barbecue. Now, if you, cook barbecue all day long and you ain’t got no good sauce, you ain’t got no barbecue. Sauce separates you from the money. Click here for the oral history.